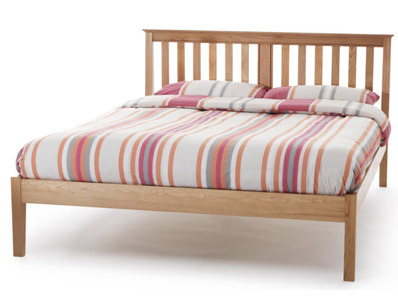 With tapered legs and clean smart lines the Salisbury bed frame offers attention to detail and a sophisticated look either as a high foot end or a low foot end. 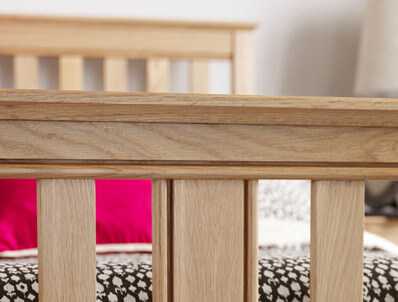 The Salisbury is crafted from solid American white oak and is covered with a oak veneer it assembles easily and comes flat packed for home delivery. 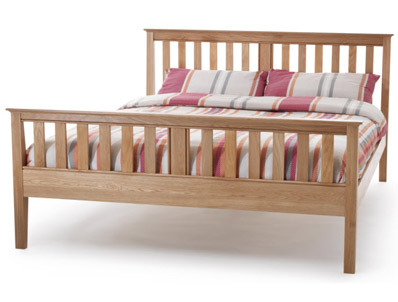 The frame has a sprung slatted base and comes in 3 size, double, king or super king size. 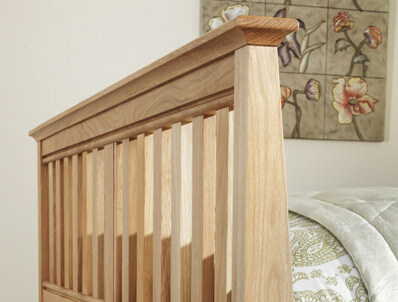 There is also a option of a matching bedside cabinet if required. Please note some postcodes like Ab, Dd, Kw, Iv, PA, PH and FK18 + Serene will not deliver to , so they will need to deliver to us and we will arrange onwards carriage to you on a similar service at a cost of £25 per item.